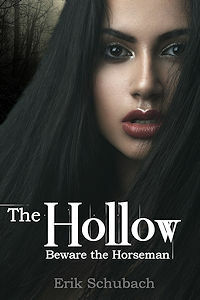 This novella occurs fifteen years after Ichabod Crane rid Sleepy Hollow of the wraith of a fallen Hessian soldier, the Headless Horseman, which terrorized the village. Now word has spread of the Horseman’s return. Ichabod’s daughter, Imelda, answers the call to investigate and stop the Horseman at all costs. Armed with her father’s sword, fighting prowess, and sharp mind, Imelda uncovers the secrets the Hollow has hidden for so long. New suspicions and old loves complicate her mission, as she finds that all is not as it seems in the little New England town.